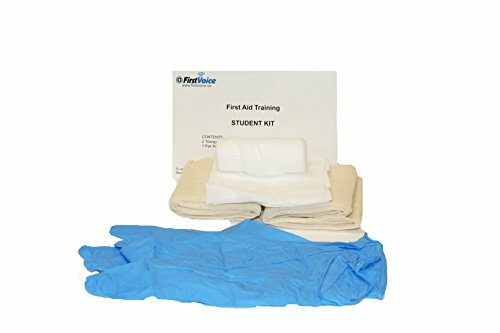 The First Voice GFAT2 first aid training kit is for training individuals in basic first aid techniques. It contains two triangular bandages, two gauze pads, two roller bandages, and a pair of non-latex gloves, and comes in a white polyethylene bag. The pack contains 10 kits. Refill supplies are sold separately. (2) Triangular bandages, 42" x 42" x 59"
If you have any questions about this product by First Voice, contact us by completing and submitting the form below. If you are looking for a specif part number, please include it with your message.